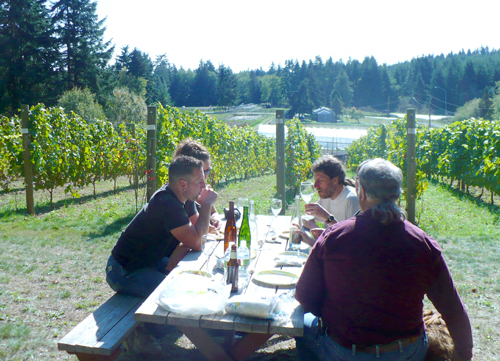 Bainbridge Island is getting prepared to host it’s second annual wine weekend October 1-3rd. 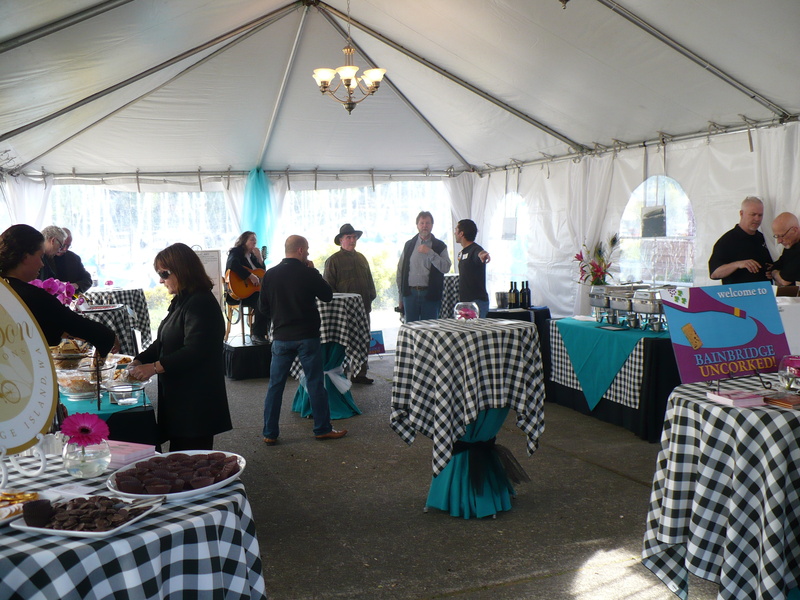 In the beginning the event featured a grand tasting in a tent that looked like it was assembled that day. Oh, I guess that is because it was. Having participated in Bainbridges’ inaugural wine event I can testify that the DOL’s required fencing was purchased the day before. 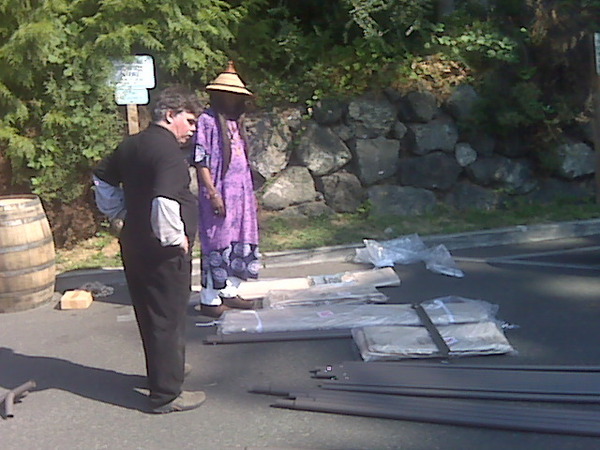 The next morning I joined local winemakers and volunteers to assemble what would become known as the “wine tent”…. things have come a long way for the second generation of this spectacular wine event. This year Bainbridge Island Wine Weekend will be 3 days of wine extravagance. Day 1 ~ Street Party and wine weekend kick off ! Perennial Vintners Estate Vineyard ~ B.I. Come to Bainbridge Island and experience this unique wine region located in the heart of the Puget Sound’s very own AVA. A bucolic island with a rich agricultural history just a 35 minute boat ride from downtown Seattle. The farm and winery direct experience is like none other. Enjoy winemaker’s pouring their own wine as they stand next to neighboring farmers sharing their fruits of labor. Discover the true meaning of terroir, at the waters edge, a harvest moon, a little dancing, great wine and food, an event you won’t want to miss!